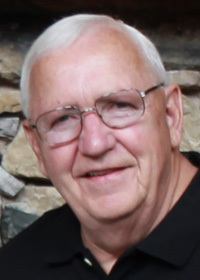 Kent Efnor, 72, passed away on March 29, 2018 in Mesa, AZ. He was born June 10, 1945, the son of Velma and Chalmer Efnor. Kent attended Bondurant High School and married Beverly Janes on June 14, 1964. Kent worked at Meredith Publishing/R.R. Donnelly and retired after 38 years. Kent is survived by his beloved wife of 53 years Beverly; two sons, Kent (Cindy) Efnor of Chaska, MN, and Doug (Susie) Efnor of Gilbert, AZ; six grandchildren, Tyler, Brooke, Austin, Jayson, Tanner and MacKenzie; sister, Karen Herrara; and a host of other family and beloved friends. He is preceded in death by his parents. A visitation will be held from 6-8 p.m., Thursday, June 14, 2018 at Hamilton's Altoona Funeral Home, 105 4th Street SW in Altoona, Iowa. A private family burial will take place the following day.